Two private firms have illegally used up wheat from the entity stockholding agency worth 1.8 million KM. The FBiH Stockholding Agency could stop such theft if it were more diligent about litigation. Grains that could feed a town the size of Sarajevo for two months during time of a natural disaster or war have evaporated. 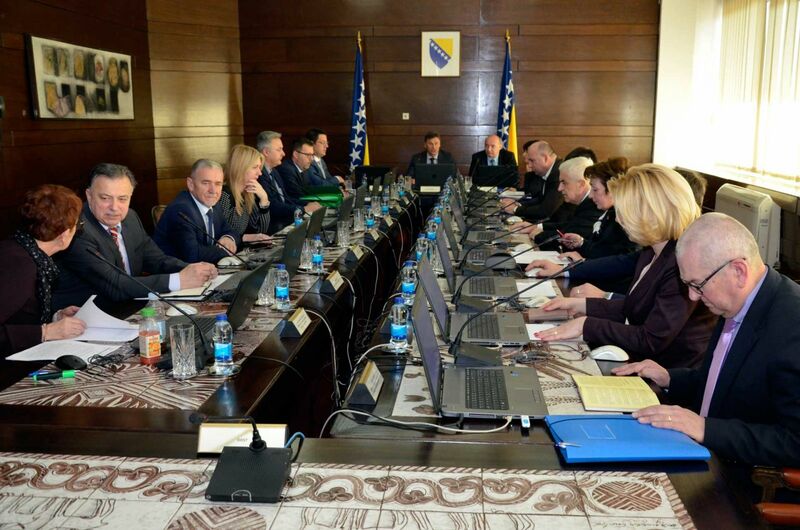 The Federation of Bosnia and Hercegovina (FBiH) Stockholding Agency entrusted 3,100 tons of wheat worth 1.8 million KM to a Mostar-based Žitopromet and Stolac-based Golden Valley. But these firms spent their stocks of wheat without authorization in 2008 and in 2012. Afterwards, they shut down. 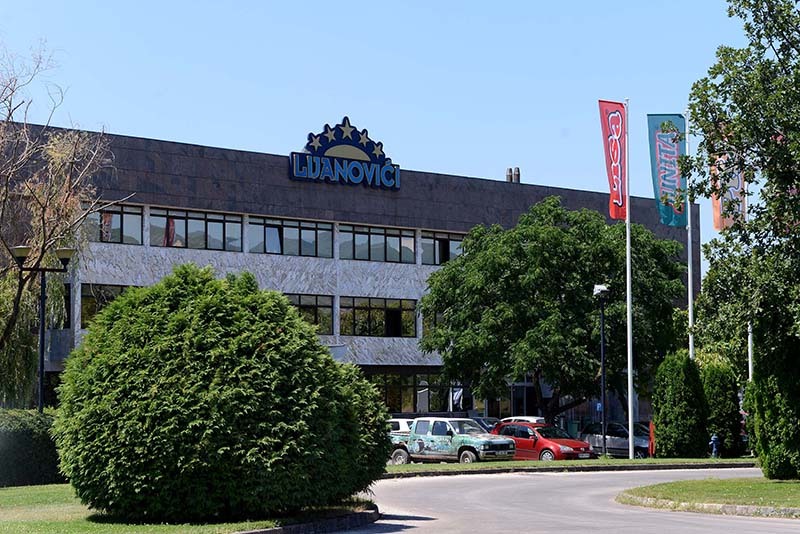 The Stockholding Agency’s director Tončo Bavrka did not heed warnings from his underlings to switch warehouses and thus end theft. He did not inform law enforcement agencies about the thefts either, according to information uncovered by the Center for Investigative Reporting in Sarajevo (CIN). Litigation to try and recoup damages afterward stands little chance of success. The Agency was set up 18 years ago to provide food, medicines and fuel to the public in cases of war or natural disasters or major fluctuations of prices of staples at the market. The money to buy goods and pay rent to a warehouse comes from the FBiH budget. Considering that the Agency does not have sufficient space of its own to keep the goods, it puts out bids to select private firms with warehouses. For those services, the Agency spends annually around 900,000 KM. The Agency is using a confidential clause in law to hide information about the stocks from the public. However, even the FBiH government lacks accurate information about stocks, even though the Agency should serve it. This has helped facilitate the theft of wheat from the silos of two Hercegovina firms. In the beginning of 2011, 1,607 tons of wheat was stored in the Golden Valley owned by Stolac businessman Ante Raguža. The firm was supposed to sell wheat once it was 4 years old and replace it with fresher grains by the end of the year. On the eve of the New Year’s holidays, Raguž informed the Agency that he had done so, but without attaching a quality certification or specifying the amount of goods, or any bills of lading that would show that any wheat had come into the warehouse. Golden Valley put off inspection by the Agency’s officials for two and a half months, justifying the delay with Raguž’s business obligations. The inspection was also postponed after snowstorms in February 2012. The first inspection in mid-March found 763 tons of wheat missing from the silos. Raguž wrote to the Agency’s director that his firm that deals in production of flour has used up all wheat stocks because it was unable to purchase its own due to the snow. He promised then that he would make up for the loss by the end of April. According to the Law on Stockholdings in the FBiH, warehouse operators are not allowed to use goods without the Agency’s approval. However, if they had done something, the Agency’s director could order the warehouse sealed and transport remaining goods to another warehouse. 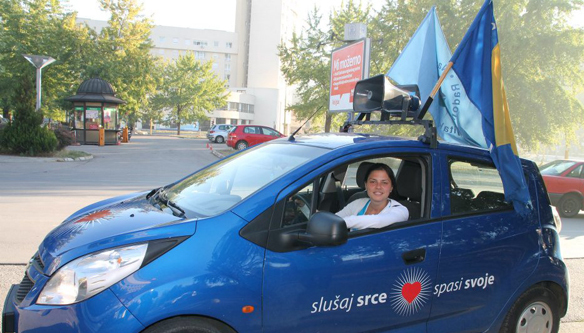 After a theft is revealed, the Agency is supposed to inform the FBiH Financial Police and the Chief Inspector’s Office. The Agency did not call in authorities. At the time of a new round of inspection of the Gold Valleys’ Silos two months later, the inspectors found no new wheat. Meanwhile, the firm replenished some wheat, but still 435 tons of it is missing. Inspectors demanded that Bavrka immediately move the remaining wheat, and launches legal mechanisms to make up the spent goods. The Agency could have cashed in on promissory notes that Golden Valley attached with the contract on stocking as a guarantee. With the help of the notes, the Agency could have blocked the accounts of the Stolac firm and received money wired to the firm’s accounts until the debt was paid back. Bavrka did not do it. Instead he met with Raguž, who explained that he had no money to replenish the wheat stocks and asked for time. At Raguž’s proposal, the Agency extended the deadline for replenishing the wheat until the end of July 2012. Bavrka told CIN that he did this because he did not want to get on the wrong side of the firm which owned the Agency 435 tons of wheat. Instead of replenishing the stocks, the Golden Valley used up the rest of the wheat stock during the summer. Raguž told a CIN reporter that the wheat was old and that he could not sell it for the price he needed to buy new stocks. During that time, the FBiH government asked the FBiH Inspectorate to check all warehouses of stockholdings. The then Prime Minister Nermin Nikšić told CIN that tips were coming in about goods disappearing from warehouses. The State Investigation and Protection Agency (SIPA) only began investigating in the middle of last year at the order of the BiH Prosecutor’s Office. Bavrka was not sacked. Nikšić explained that Bavrka was a civil servant who could not be sacked by the law unless he was sent to a prison for at list six months. In the beginning of 2011, the FBiH Stockholding Agency stored 1,607 tons of wheat in a Stolac-based Golden Valley. Meanwhile, the wheat was used up and the firm wound-up. In September 2012, a month after inspectors submitted a report about the inspection of the warehouse, Bavrka sued Golden Valleys in Sarajevo Municipal Court demanding the return of 1 million KM worth of wheat. The Agency’s legal representative Sonja Jelić did not show up for a pretrial hearing in October 2013. The court ordered the lawsuit dropped. Several days later Bavrka asked that the case be reinstated, explaining that while en route to court, Jelić had received word that her mother had suffered an apparent heart attack. He showed a medical certificate. However, the Agency’s work attendance log show that Jelić was present the full day. “You arrive at work and you check in not knowing that one of your parents is going to be sick,” said Bavrka, who never explained why the employee was not registered as on sick-leave. Still, the court accepted the medical certificate and returned the lawsuit in the original state. However, the case was initiated only a year later, in October 2014. Meanwhile, the Golden Valley closed down and other creditors were also trying to recoup their claims. The Agency was late in recouping its claims from the sale of the firm’s vehicles, because the Tax Authority of Herzegovina Neretva Canton got priority. CIN uncovered the Agency made another error making it hard to recoup the debts from Žitopromet which also has used up wheat without approval. 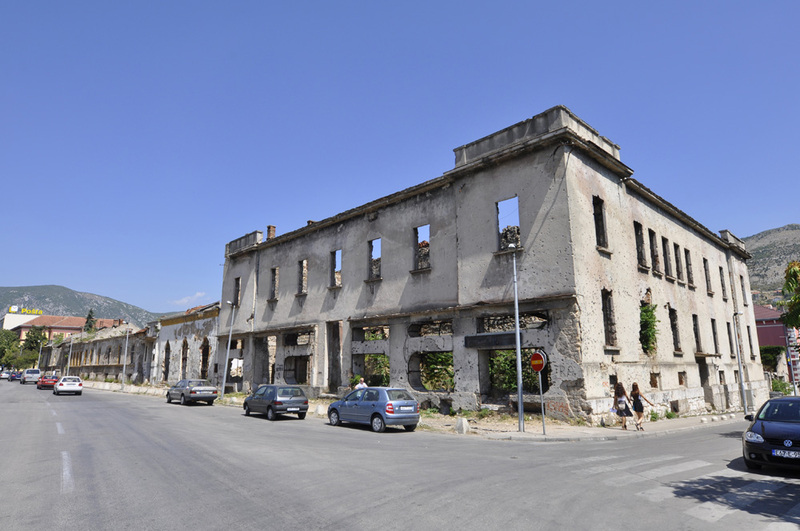 In February 2013, Žitopromet filed for bankruptcy before the Municipal Court in Mostar. During the bankruptcy proceedings, the Agency officials never lodged a claim that the firm owed it around 834,000 KM, because it has spent 1,500 tons of wheat without approval. This was a major part of the stock which the Agency placed with the Mostar firm seven years before. When the bankruptcy case was opened, the court published a notice calling on all firms and individuals to submit collection letters as creditors. The Agency never acted until January 2014, when it was too late. Bavrka blamed the loss of wheat in Golden Valley on the Department for Stockholding. In the beginning of 2014, because of this case, Bavrka filed disciplinary charges against the clerks of the Department for Legal and General Affairs Mirela Trnka, Sonja Jelić and Tea Mrnjavac for not following the state government newspaper. He said that was why the Agency was so late in filing its creditor claims. Mrnjavac was suspended for 30 days, Trnka was orally reprimanded, while Jelić faced no consequences. However, the Service Complaint Board voided the penalty because the Agency never clearly established the responsibility of the clerks for this misdemeanor. It refuted Bavrka’s claim that he did not know about the bankruptcy for a year, because during this period he was in constant contact with Žitoprometom. CIN got hold of Bavrka’s travel request form from which it can be seen that he visited this firm at the time to talk about the possibilities of collecting liabilities. Wheat is not the only supply the Agency lost to theft. Nine firms which had contracts with the Agency about housing the stocks have spent large amounts of food and fuel unauthorized. The damage was estimated to 12.1 million KM, not counting interest. Audit Office for the Institutions of the FBiH agencies in its last report on the Agency’s financial reports concluded that it was more than sure that the bulk of damages will not be recovered through litigation. The majority of the goods from warehouses disappeared between 2008 and 2012, that is, in the first four years after Bavrka was appointed director of the Agency. The theft stopped only after an inspection in the summer of 2012.